When it comes to my hands, I can't really say that I look after them. I can often be found in a bucket of cleaning product or with paint all over my hands. I don't wear gloves to do any of these tasks and as a consequence I have rather tired and sorry for themselves looking hands. 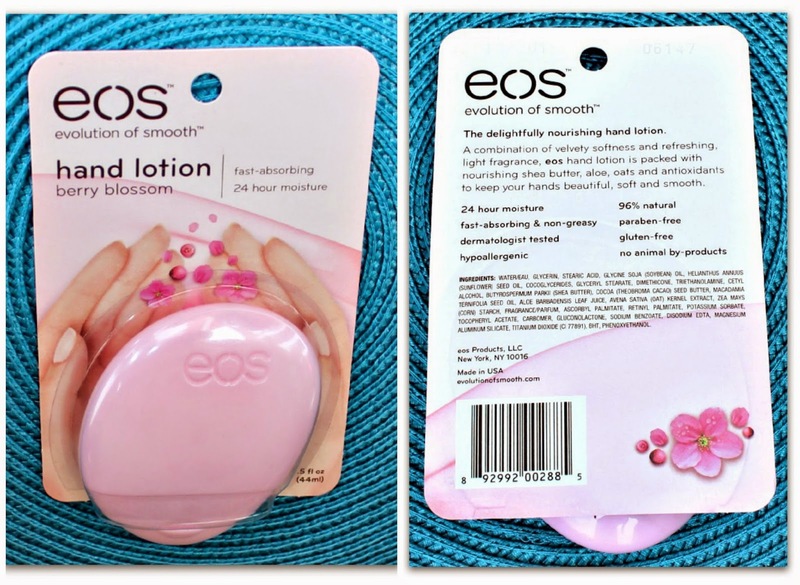 When Eos released their circular lip balm many bloggers got really excited and shared how wonderful they were. On this recommendation I purchased a lemon drop lip balm but I certainly didn't love it. You can see my review here. I since have discovered this has more to do with the flavour I picked, others are lovely especially sweet mint. So when Shiny from Bright Shiny Day suggested trying their hand lotion, I thought well let's give it a go. I opted for Berry Blossom. A few things to share, the smell on applying the hand cream is lovely, it has the right balance of a refreshing berry scent which is floral. A little goes a long way and unlike other hand creams there is no sticky residue left once applied. 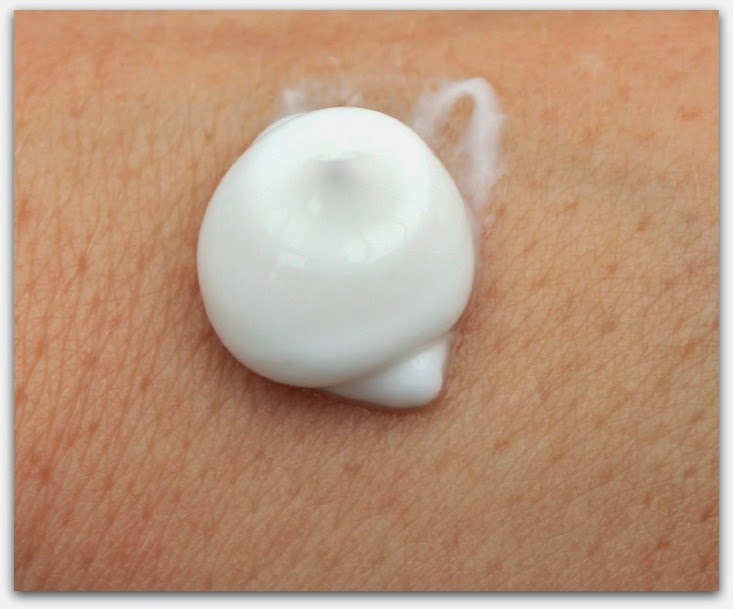 The lotion though is not creamy, it is more liquid in consistently which makes it absorb quickly. There is no greasy residue, but it does leave your hands feeling fully softened and moisturised. It is a perfect size for a handbag, travelling or on the desk at work. It is paraben, animal and cruelty free. 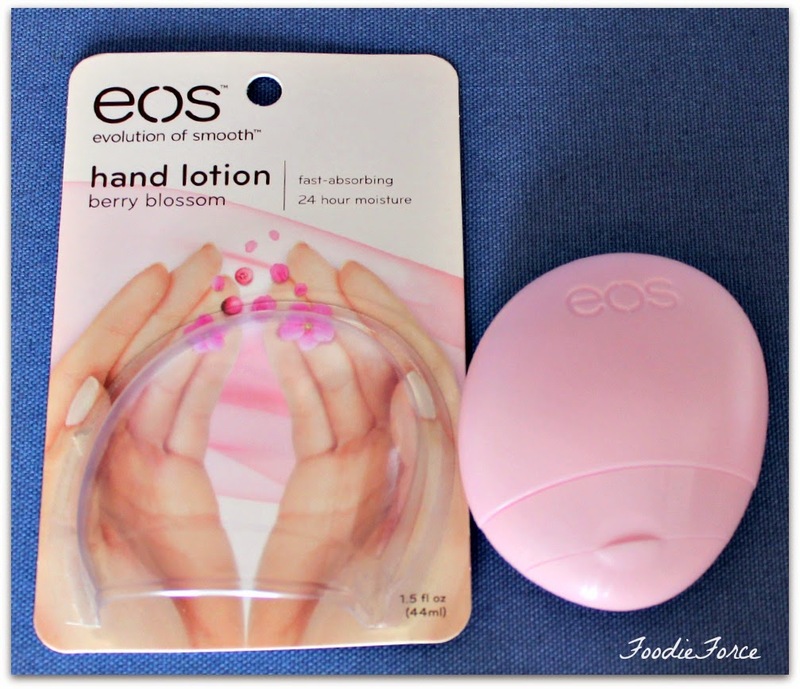 I have the cucumber EOS hand lotion and it smells refreshing. I really love these lotions. So lightweight and absorbs quickly. I agree that it is a little watery in consistency, but that makes it go on/absorb so much easier (like you mentioned). The EOS lip balms are so fun. I really like the packaging, but I just really hate putting cream on my hands. REALLY HATE IT! I have an obsession with hand cream, as I can't stand that dry feeling after you wash your hands! So definitely going to check this out. WAIT WHAT THIS EXISTS!?!? I need one now! !